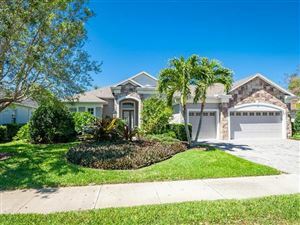 Bradenton has various options for house hunters who wish to live close to nature, and Wisteria Park is one of the most traditional neighborhoods in this regard. Wisteria Park was one of the first residential developments in Manatee County to set aside plots of land as nature preserves for the enjoyment of homeowners. With careful landscaping and nature preservation in mind, developer Neal Communities has been fostering an enticing residential atmosphere at Wisteria Park since the 1980s. The desirable location of Wisteria Park contributes to its green beauty. The mouth of the Manatee River is its northern boundary; Palma Sola Bay is to the south while Robinson Preserve is to the west and downtown Bradenton to the east. About a third of the 60 acres that make up this neighborhood consist of ponds and green areas. Home buyers who visit Wisteria Park immediately notice that this a neighborhood graced by a diversity of residential architecture. Some of the older floor plans are Florida ranch-style homes while more recent models are inspired by Mediterranean and Caribbean home designs. An interesting fact about Wisteria Park is that two of the floor plans in this community are proud recipients of the Parade of Homes award. Not all properties at Wisteria Park are single-family residences; some are maintenance-free villas that often come on the market for about $400K. Home buyers looking for estates on the banks of the Manatee River or overlooking Palma Sola Bay can expect prices around $650K for 2,500 square feet homes with four bedrooms and three full bathrooms. 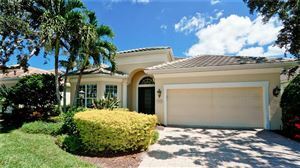 The homes in this community are very well-appointed; many of these properties have extras such as gourmet kitchens, large Florida rooms, studios, dens, and even more. Wisteria Park also features community amenities such as a swimming pool, playground, pool deck, gazebos, and nature trails. Going to the nearby Robinson Preserve, Holmes Beach and Anna Maria Island is a popular activity among residnents. 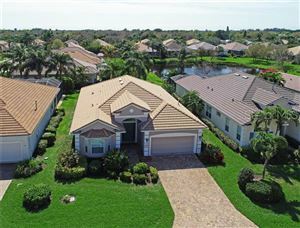 See all Wisteria Park Bradenton Florida Homes for Sale.